When running the game on Windows 8/8.1/10 you should be prompted to enable DirectPlay. Click on "Install this feature" to enable DirectPlay. If this popup does not appear you can manually enable the option yourself. Go to Control Panel > Programs and Features > Turn Windows features on or off. 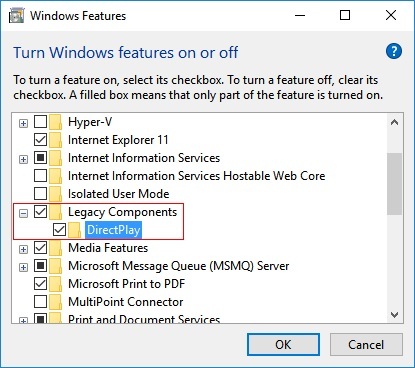 Expand "Legacy Components" and tick "DirectPlay". 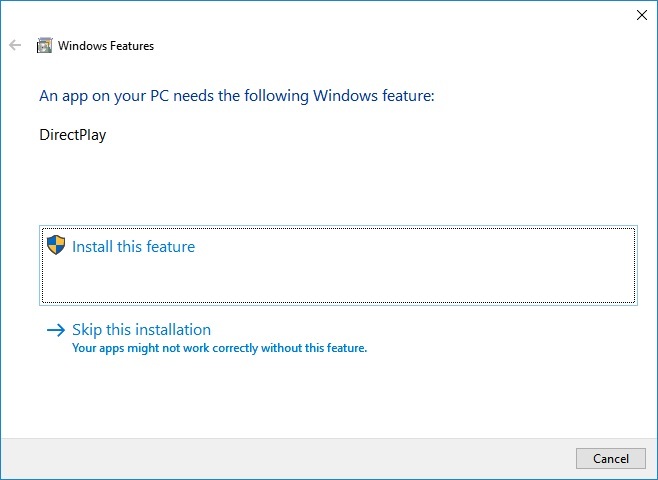 Sometimes the settings in the configuration file (such as the default resolution) can cause the game not to launch, especially if running the game for the first time in a while or running the game for the first time on a new computer or new hardware component.